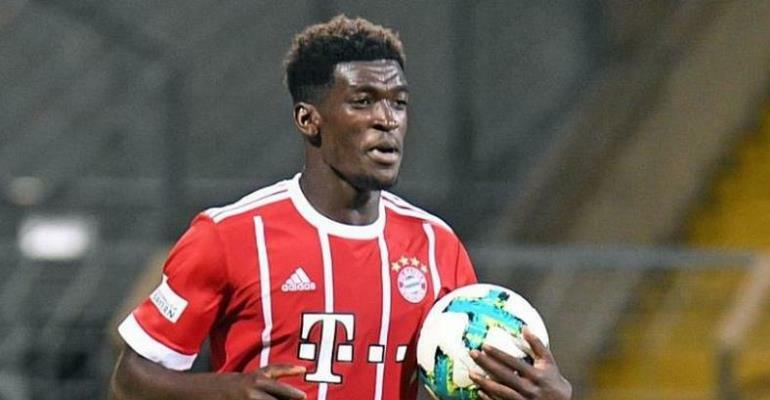 Ghanaian youngster, Kwasi Okyere Wriedt scored twice as Bayern Munich II defeated Garching FC 3-2 in the German third-tier on Sunday. Kwasi Okyere Wriedt opened the scoring in the 40th minute and doubled the lead three minutes afterwards for the Bavarian giants. Jannik Rochelt made it three-nil by the 53rd minute before Garching FC scored two consolation goals through Valentin Micheli and Dennis Niebauer. Wriedt, 24, is yet to break into the Bayern Munich senior team despite his impressive heroics. The brace registered by Owusu Wriedt on Sunday was his 17th goal of the season.